We’re always on the lookout for the best PCP bargains - here are ten of the cheapest deals we've found available in the UK. Suzuki has always delivered small cars that are cheap to buy and run - and the Celero follows this formula. Despite the bargain price the equipment list is impressive and every version has a DAB radio, air conditioning, Bluetooth and alloy wheels. 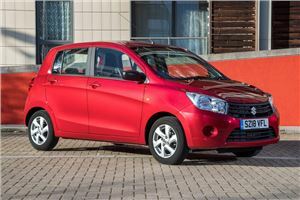 It makes sense that Britain’s cheapest new car should also be available with one of the cheapest monthly payments, but it is still remarkable that you can have a brand-new car on your driveway for less than a cable TV package. 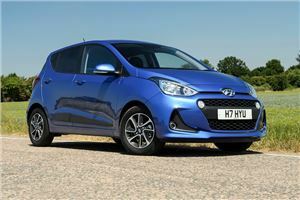 Few cars at this price look a smart as the i10 does and the feeling continues inside with a cabin that is not only spacious but also well constructed. Hyundai is offering 0% finance on certain terms, but this deal still has a reasonable rate on a longer term for the lowest possible monthly payment. Currently the cheapest deal available from Ford, this offer will get you behind the wheel of a KA+ for under £100 per month. This special deal from Ford requires a decent deposit and is only available over two years but delivers a low monthly as a result at 0% APR. 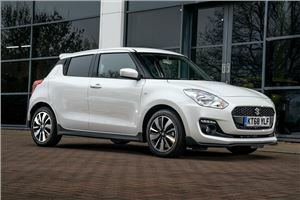 If you’re not familar with the Suzuki Swift we strongly suggest you try one. 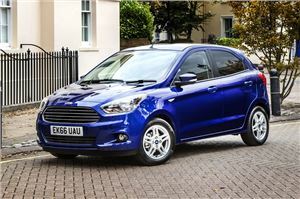 A cracking small car that is attractive and fun to drive but also efficient, well-equipped and good value. Play around with Suzuki’s dealmaker and you can sort your own ideal agreement, but with a modest £2500 deposit the SZ3 Swift checks in at just over £100 a month. 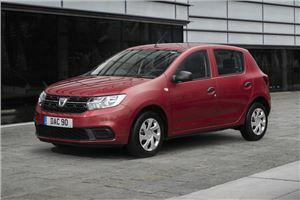 The city car that does a convincing impression of something much bigger and more expensive, the Up will make you wonder why we need anything bigger. 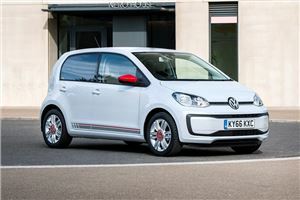 Volkswagen has a deal-maker where you can tweak various elements to suit, so we’ve selected the lowest monthly payment possible to add to the 0 per cent APR. 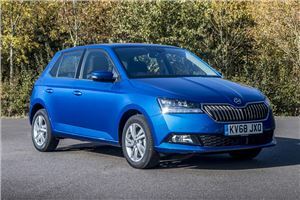 Compact on the outside but space efficient inside, the Fabia has one of the classiest cabins in the sector and has a sprinkling of clever Skoda touches to make life a little easier. Skoda’s deal calculator allows you plenty of scope to tailor your finance, but even with a modest deposit delivers low APR and a good monthly. This deal might not appear to be particularly cheap in comparison to some others on this list, but bear with us. 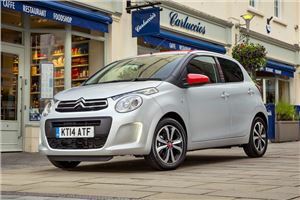 The C1 has everything demanding buyers want from a city car such as DAB, a touchscreen interface and air conditioning. Where this deal comes good is that it asks for just a £1 deposit (yes that's not a typo) and at only 2.9% APR. 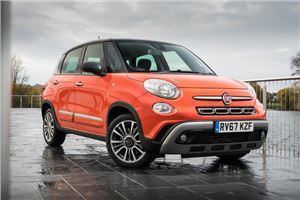 Fiat’s 500L packs a lot of space into a small footprint, making it ideal for those who don’t want a big car but need some extra space. Currently on a hot deal from Fiat with a hefty £2000 deposit contribution and 0% finance, this is an ideal time to take the plunge. 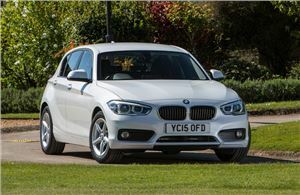 Whatever you think about the way it looks, the BMW 1 Series remains a desirable premium hatchback with the credentials of a genuine driver’s car. Even in modest 118i form it still offers sporty performance and responsive rear-drive handling. BMW’s deal calculator allows you to bump up your deposit to cut the monthly payment but still includes a dealer contribution of £2600.